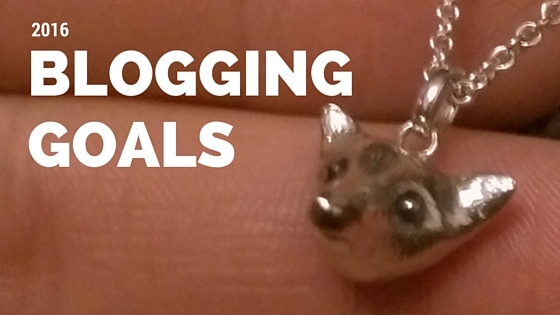 2015 Thoughts and Blogging Goals for 2016 - Reclusive Fox ""
We’re coming up to the end of 2015. For me, it’s been a remarkable year as far as my mental health goes. I’ve continued to fight off the anxiety demons, gain more power over panic attacks and get out into the world making huge steps for my personal progress. My blog has somewhat suffered as a result even though I do feel it’s played a massive part in getting me to where I am today. I started Reclusive Fox as a form of therapy, a documentation tool with the hope that perhaps I could maybe help others along the way. As I got stronger I got a little lost with content. I didn’t need the therapy as much; I’ve been heading out, I’ve been living more and I’ve ended up more social than I could have ever imagined in my personal and professional life. I guess life took over and my blog was left confused. I’ve been thinking about how I want to take my blog forward. I’ve had lots of great collaborations with brands but the past couple of months the offerings have been a little lacking in lustre. I would agree to receive a sample only to be disappointed or reluctant to put something on the blog because it wasn’t really me or relevant or something I could get behind promoting ( so they haven’t made it on these pages). It’s really amazing to be contacted and offered goods in return for a review or a feature and sometimes that thrill can cloud judgement. I’m in lots of really great and supportive blogging groups and it can be far too easy to get swept up in the whole PR side of things, how to make money and working with brands. At the end of the day that’s not why I started this blog and it’s not something that gives me any personal strength. The future for me and for my blog is going to be more about doing things that make me feel good and that will be of use to others. I’m not going to effectively sell a bit of my blog in return for things that are of no use to myself or things I don’t feel I can encourage others to invest in or get behind. With that being said I thought I’d share some of my current blogging goals for the year ahead. I want to help more people to overcome a life of anxiety and panic. If I can just reach one person and set them on their own journey of empowerment then I will be absolutely thrilled. I’m not blogging for money, I work to keep my roof over my head, blogging is my hobby and I don’t want to get side-tracked from that. If I can make a little something then great, but I am not selling my blogging soul for something that doesn’t leave a good taste in my mouth. Sharing experiences, thoughts and guidance is something I want to focus on. I know we’re all different and anxiety and panic affects us in different ways, but perhaps someone will relate to my experiences so I want to share them more. Any collaboration I’m offered will be carefully considered. This is my tiny space of the Internet and I want to use it wisely. The content on my blog will feature all the things I love, I’m not worried about niche. I love to game, I desire to be healthy, physically and mentally, I have a teenager, I’m a girlfriend, I have pets, I struggle with money…My blog is where I’ll come to talk and perhaps someone out there will relate. I do hope you’ll continue to visit and simply skip by any posts that you aren’t interested in or that you can’t relate to. Not having a niche is considered a bit of a mistake in blogging circles but I’m a 38-year-old woman and my life doesn’t have a niche so why should my blog? I’m multifaceted and proud! Getting thoughts down on paper helps me to organise my busy brain and set things straight. It doesn’t even matter if the content is read or not, I could keep this on my computer or publish it on the blog, it makes no difference, the overall effect is the same. I’m choosing the blog because it’s a way of setting my thoughts in stone and seeing off 2015 with a big smile on my face and ambitions for the future. Have you made any goals for 2016 or do you like to see where life takes you?